Fully renewed and extended, this edition is a valuable source of information for anyone involved in drainage engineering and management. It provides new theories, technologies, knowledge and experiences in combination with traditional land development practices in the humid temperature zone. Aspects covered include: management and maintenance; drainage application and design; and adverse impacts on the environment. 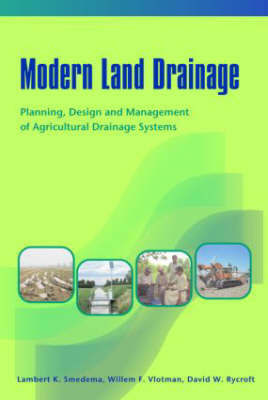 Intended as both a handbook and a textbook, this work is of particular value to university students as well as professionals within drainage development, engineering and management.